9,5mm x 40mm (WxH) = 3/8" x 1 9/16"
machine washable in all temperatures. The label edges will not fray due to our hand cutting method using heat. 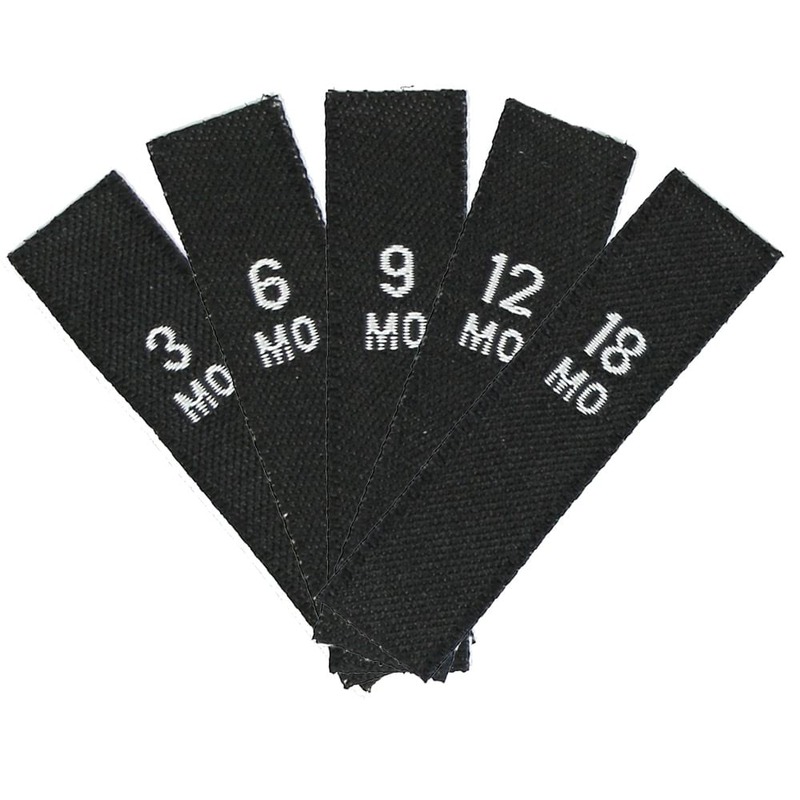 Our woven flag labels are durable but soft against the skin and retain their shape even after many washings. woven size labels have been proven to be free of any substances which might be harmful to people's health. refund of the purchase price. Terms and conditions apply.